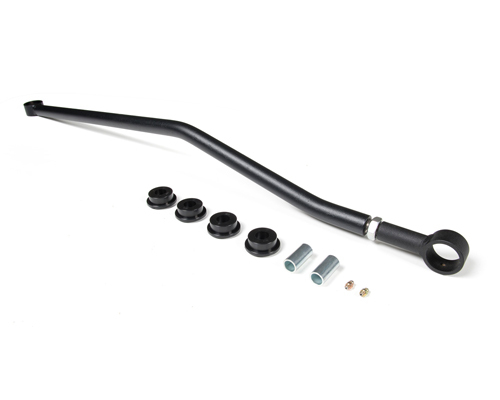 This BDS rear adjustable track bar fits 2007-2014 Jeep JK Wranglers with lifts ranging from 0"-6.5" of lift. This track bar is made from solid stock and gibes you the ability to precisely adjust the rear axle to center. BDS track bars are precision engineered and crafted from heavy duty parts. All kits come complete with brackets and hardware for ease of installation.